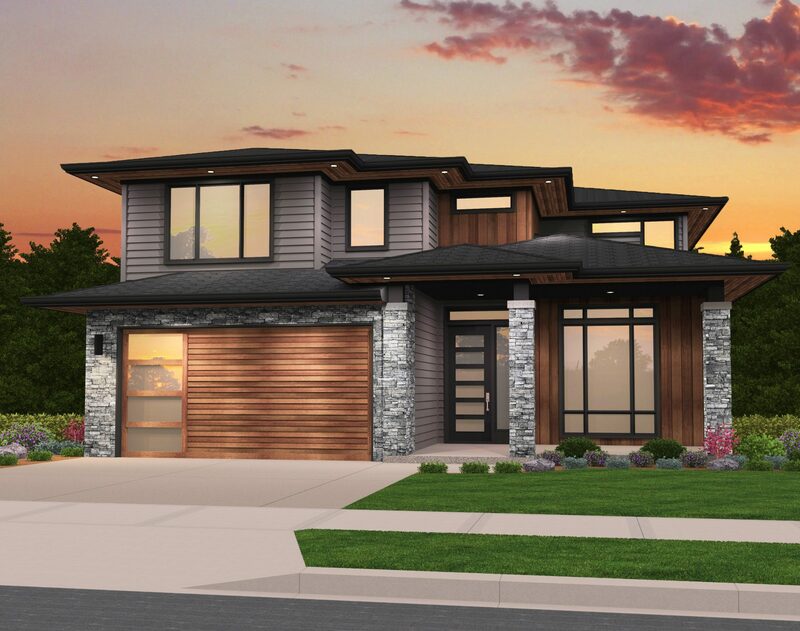 Rosy is a very beautiful hip roof two story modern house plan with a 3 car tandem garage. The main floor of this home features a spacious U shaped kitchen with a large center island, corner pantry and dining nook. Adjacent to the kitchen is the family room and formal dining room. Also included on the main floor of the home is a powder room, den and over-sized two car garage with a shop. Upstairs are two spacious bedrooms, a large corner bonus room, the utility room and a loft. Also upstairs is the stunning master suite which is complete with a generous walk in closet, separate shower and soaking tub and private restroom. 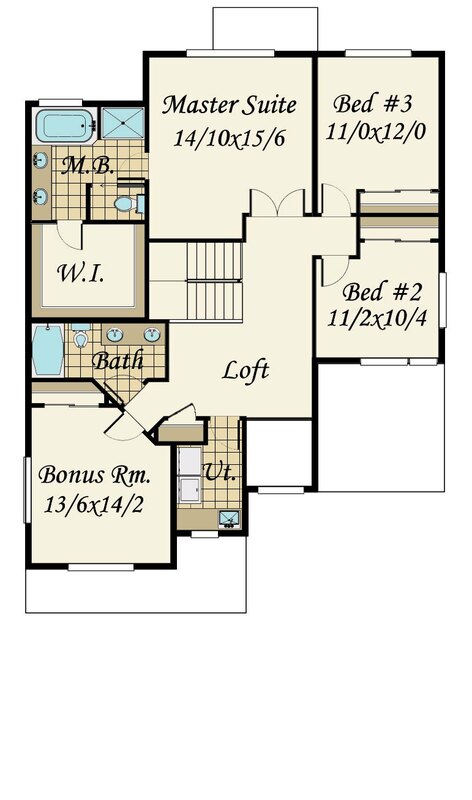 The generous master suite shares the rear view with the large family room, nook and kitchen. 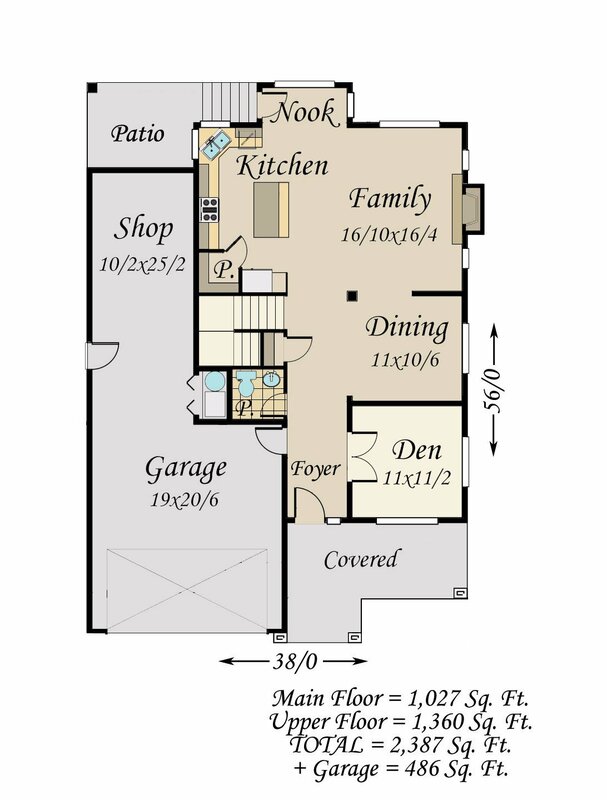 A main floor den, three upper floor bedrooms and a bonus room round out the design.